AN OPEN-AND-SHUT CASE … OR WAS IT? It took the jury 45 minutes to convict Gary Baxter of killing his wife, Connie, in an alcoholic blackout, and not even the defense attorney, was surprised. The couple was widely known around town as “the Battling Baxters,” and the case seemed as straightforward as they come. 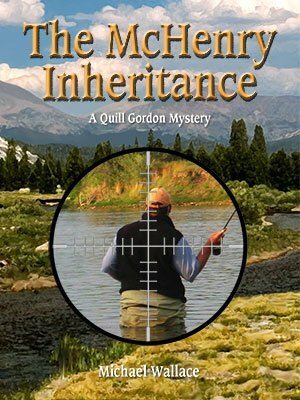 But a volunteer for Not Guilty Northern California, an advocacy group that challenges wrongful convictions, thinks Baxter might be innocent and asks Quill Gordon to do a little snooping around during his next fishing trip. In the Gold Rush hamlet of Dutchtown, renowned for its frequent lynchings back in the day, Gordon and his friend Peter Delaney find evidence that the Baxter case was not as simple as it seemed. That could mean the real killer is still walking the streets of Dutchtown — free, unsuspected, and ready to kill again to keep the truth from coming out. are mysteries in the classic tradition, praised by Amazon readers for their ingenious plots, vivid characterizations, and evocative sense of place. Gordon is a former college basketball player and stockbroker. After making a modest fortune in the bull market of the 1980s, he has the freedom to pursue his love of fly-fishing and the outdoors. Coming to the small mountain communities he visits as an outsider, he is drawn into their hidden intrigues as a crime occurs and he finds himself involved in the investigation. Each novel is set in a different locale, rich in atmosphere, with its own characters, issues and history. The common thread is Gordon’s steady hand as he helps solve the crime that has disrupted the community. 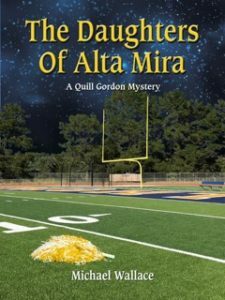 Buy "Daughters of Alta Mira"
A serial killer was at work in the small town, and the only clue was a single word scrawled on a victim’s note pad. 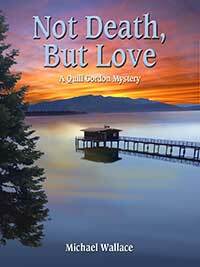 Buy "Not Death, But Love"
Writing her family history got Charlotte London murdered. Trusting a stranger the last day of her life got her justice. 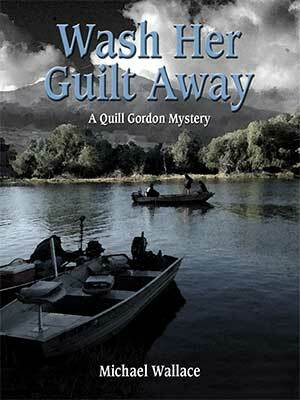 Buy "Wash Her Guilt Away"
Harry’s Riverside Lodge had a long and colorful history. The locked-room murder was merely the latest chapter. A corpse by the trout stream. A family-destroying legal battle. A militia roaming the woods. You call this a vacation? 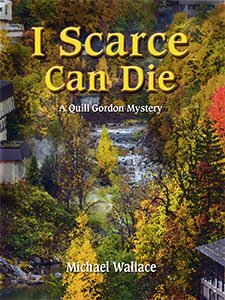 Copyright 2017 Quill Gordon Mystery Series. All rights reserved.